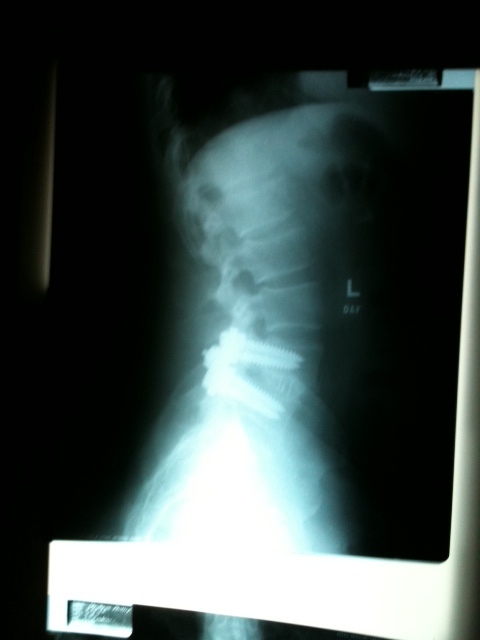 6 month check up for Back Surgery & Xrays of L4 L5 fusion | God has your back! Today I went to the doctor for my 6 month check up. It has actually been a little bit longer than 6 months since my surgery but who’s counting. The doctor took some X-rays and looked at them and said that everything looks great. He told me that I don’t have to wear my brace anymore and that I am now released to do all of the normal activities that I did before my surgery including picking up grandkids of all sizes! The doctor said that I will need to go to Physical Therapy to get my range of motion and strength back to where they need to be. My back is stiff and weak from the surgery and from wearing that brace for 6 months. For me I am excited that the X-rays look great and I am also thrilled that I have been released to start exercising again! I can’t wait to run on the treadmill and to lift weights again. I know that I will have to ease into it and gradually work my way back to my normal routine. I am looking forward to getting back to my regular routine even though I know it will probably take a couple of months. As I left the doctor’soffice, hopped into my car, buckled my seat belt and drove off down the road, it felt very strange not to have on my brace. That brace has been my constant companion for the last 6 months. It took a few days to get used to it, it was so uncomfortable at first and now it feels so uncomfortable and awkward without it. 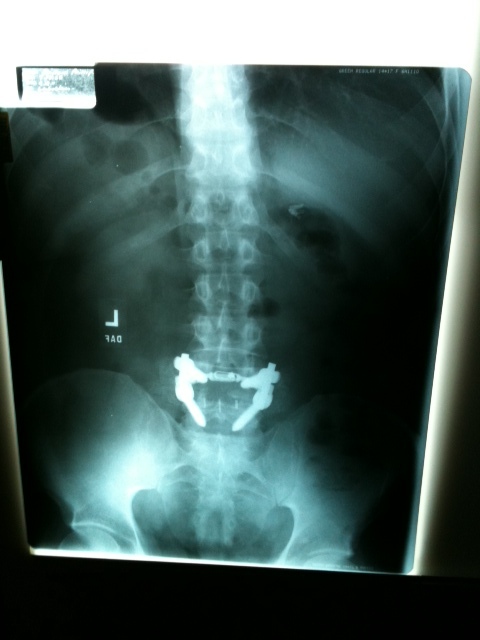 This entry was posted in back surgery, Christianity, faith, God and tagged back surgery, back surgery restrictions, Christianity, God, xray of spinal fusion. Bookmark the permalink.